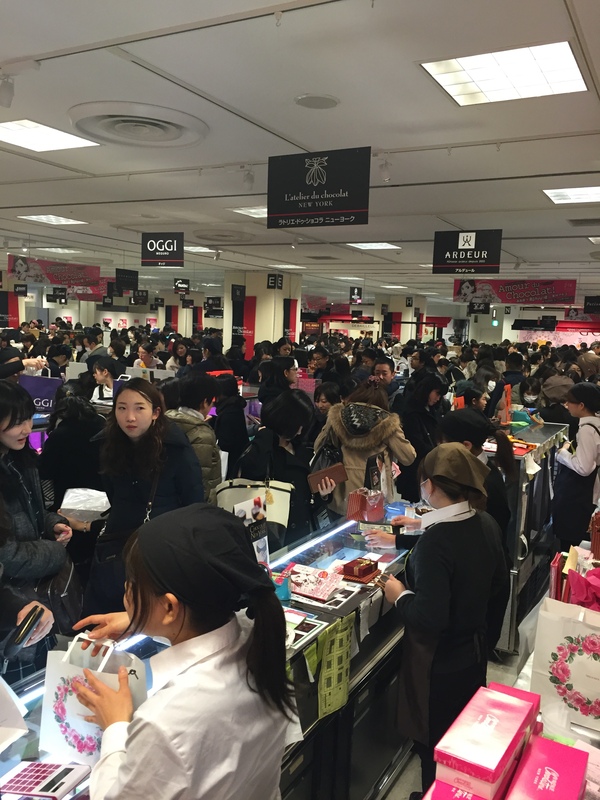 I was so surprised with my friends when we happened to arrive at this floor from one of the popular department stores in Tokyo. People were rushing from counter to counter, shop to shop for boxes of chocolate which probably will be handed in to someone on this Saturday… the Valentine’s day. I wonder to whom these gifts are for. Lovers? Families? Friends or yourself? I admire the patience of these people to get “the one” for someone. Is my way of thinking to bitter to these people? I just wanted to tell that there are some people like my friends, my partner or me are much less enthusiastic about this event… anyway, Happy Valentine’s Day.